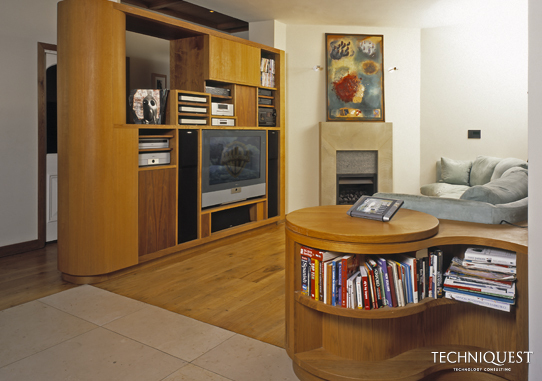 TechniQuest are experts in achieving ultimate standards in home or business automation, typically comprising building management systems or automation hubs allowing the seamless and intuitive operation of a diverse range of services via portable / wireless or in-wall touch-screen interfaces. For residential projects the systems integrated typically include audio visual entertainment systems; lighting & blind control; email & internet access; audio & video access control, and heating, cooling and ventilation systems. multi-media audio & video entertainment featuring AMX wireless touch-screen control (foreground).